Unlike other religions that mostly rely on converts, the Amish’s success is related to large families and high rates of baptism. The census states that there are currently almost 251,000 Amish in the United States and Ontario, Canada, dispersed among 456 settlements. If you compare this to the 1990 census, there were only 179 settlements in the United States. If the Amish continue to expand at this rate, the Ohio State University researchers predict that the census could exceed 1 million Amish and 1,000 settlements shortly after 2050. This growth is expected to have economic, cultural, social and religious impacts on the rural areas around Amish settlements. Among these include the fact that the Amish will buy up land vacated by farmers in rural areas close to community services. 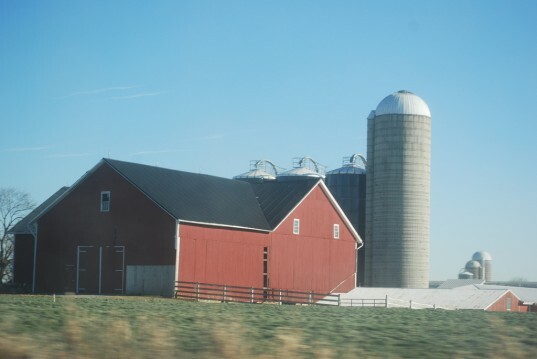 However, the availability of farmland might not keep pace with population growth, and this could force many Amish men to look for non-farm jobs such as woodworking and construction. The Amish are largely misunderstood due to their limited depiction on television reality shows or in the news media. However, their interpretation of the Christian bible means they are one of the ‘greenest’ Christian religions in the US. The Amish settle where they can separate themselves from the world, minimize disturbance from others and simply use the land for farming or other livelihoods. Their overall footprint is minimal. “My guess is that in 15 years, we’ll witness a county whose population is majority Amish, and Holmes County is likely to gain that distinction first. Perhaps LaGrange County in Indiana will not be far behind,” Donnermeyer said.